We Are Home - Kaley is Out of Pain - No Answers - Who Said Nothing in Life is Free? I just realized I didn’t update everyone today and I know I have a few that wanted to know how things were going. We got discharged around 4 pm today (just in time for rush hour traffic) but we still don’t really have an answers. 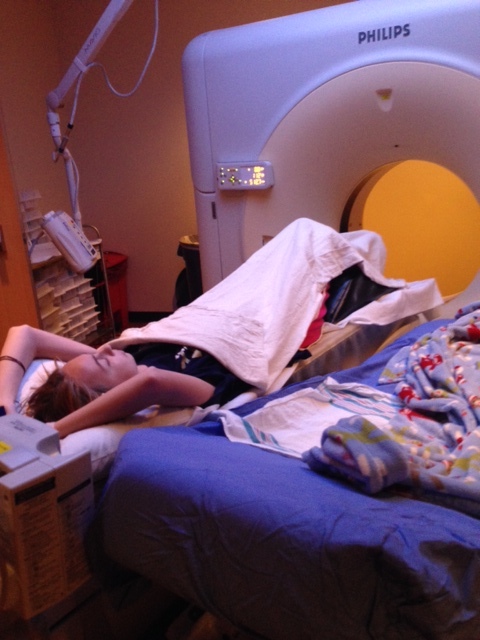 Her pain just stopped but the blood work and CT scan don’t show any reason why she keeps having pain. They are going to set up a contrast study to see if they can see any “kinks” in her intestines caused by scar tissue that may be forming from all her surgeries. For now they just want us to manage the pain when it happens. As a mom, I just want to know WHY it happens !!! A big thank you for all the well wishes and prayers that were said !!! Glad to know she is home now. Hope the doctor can find the reason that causing the pain, and cure it. Wow scary stuff! At least she’s not in pain atm. Praying for Kaley! There’s a young lady named Lauren that has a wonderful blog about her journey with ulcerative colitis and how she has found relief it’s called http://www.empoweredsustenance.com thought you and your daughter might find comfort, hope and ideas there :). Blessings! Hello! I’m so sorry that your daughter’s journey to health has been sidetracked! One thing that I have noticed in researching healing diets/lifestyles (“Let thy food be thy medicine”….AMEN!!!) is, across the board, no exceptions, cow dairy products, grains, and processed/artificial foods are to be avoided by humans as they are inflammatory and acid-producing within our systems. Miracles will happen when we start feeding our bodies what our bodies are supposed to be fed. I promise!!! Living example here with myself and my family!! Best wishes to your daughter!!!!! Glory be to God! I believe in Miracles and the power of prayer. Wishing you a Merry Christmas and a blessed New Year! Glad you guys are home, but not having an answer stinks! I am finding more often than not these days, that our medical professionals don’t know much of anything. Praying for your daughter, I just started reading your posts a few weeks ago and follow your blog, When I read your posts I will be praying for her.